Need space to store your equipment? Short term or long term storage available! For your convenience, we have two warehouse storage locations: Pitt Meadows and Langley. We also have an additional storage yard in South Surrey. Can Ridge provides safe and secure warehousing to suit a variety of equipment storage needs. With a fleet of crane trucks and flatbeds, we have the ability to pick up your equipment and deliver it to our storage facility. 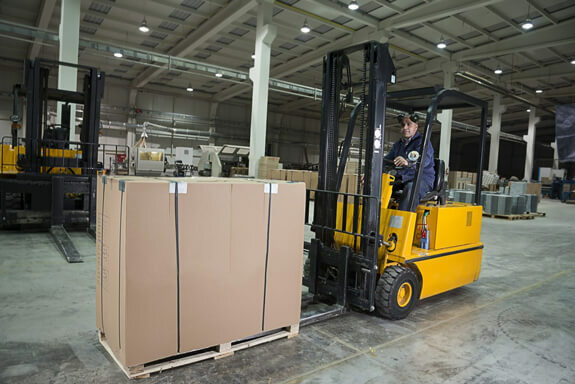 Once arrived at our warehouse, Can Ridge has an onsite forklift and loading dock to load and unload machinery. We also have the expertise and equipment to stuff or destuff your container. Our experienced Industrial Moving Team will take great care in bringing your assets into our warehouse and place it safely and securely for storage. Contact us today for customized pricing on storing your equipment! Our storage facilities are located in Langley and Pitt Meadows. We are able to transport machinery and equipment throughout the lower mainland to our location.